Christopher is a sought-after, international speaker, author, and business advisor on responsible leadership, teamwork, and change for companies like GAP, Wells Fargo, and Ebay. Known for his cutting-edge work to demystify and then develop practical team leadership skills for engineers and other technical professionals, Christopher wrote the popular classic Teamwork Is An Individual Skill for everyone who is fed up with working in bad teams. As the visionary force behind the worldwide Leadership Gift community, Christopher applies groundbreaking discoveries about personal responsibility and performance to support leaders intent on rapidly building highly reliable, agile, sustainable, and accelerating teams and cultures. J. B. (Joe) Rainsberger helps software organizations better satisfy their customers and the businesses they support. Expert at delivering successful software, he writes, teaches and speaks about why delivering better software is important, but not enough. He helps clients improve their bottom line by coaching teams as well as leading change programs. He helps software organizations off the treadmill of over-commitment and under-delivery, addressing all aspects of software delivery including understanding the business, gelling the team and even writing great code. Learn more about how Joe will inspire your software organization at jbrains.ca, at conferences world-wide, or by writing him directly at get.started@jbrains.ca. Alan W. Brown is an IBM Distinguished Engineer at IBM Rational software. Alan´s current assignment is IBM Rational CTO for Europe. He works with customers around the world consulting on software engineering strategy as it pertains to enterprise solutions, process improvement, and the transition to service-oriented solutions through IBM Rational's software delivery platform. Ola likes to combine technology, people and business. Which is why he finds software development so interesting. After coming in contact with eXtreme Programming he realized that developing software doesn't necessarily mean big and seemingly endless projects. There are flexible and fun ways to develop software too. More than anything else, he likes to share his knowledge with others because he believes that this is how new knowledge and insights are created. Andrea’s contribution to his clients is primarily in the areas of: Adoption of Agile methodologies, such as Extreme Programming (XP) and Scrum; Development of soft skills for teams and organizations; Coaching and training on software development for the Java/J2EE platform; Design Patterns (Integration and Distributed Applications); Design and development of Web/Enterprise applications; Architectural assessments; Skill assessments; Team building. Chris Matts is a programme/project manager who uses Agile and Lean techniques to make his and other people's lives easier. He specialises on trading and risk management systems for investment banks. Chris's main focus is helping the business investor make IT investment decisions, and then how to manage the risks on those investments. Joakim Sundén is an Agile & Lean Coach with Avega Group, Sweden. He helps clients improve through coaching and mentoring of individuals, teams and organizations. This is often accomplished using Agile and Lean software development methodologies such as Scrum, XP and Kanban. When working as a developer coach Joakim favors Test Driven Development, refactoring and evolutionary object-oriented design, mainly on the .NET platform. He is an organizer of, and active participant in, conferences, networks and user groups in the Agile, Lean and .NET communities. Currently he works as a consultant for software organisations and coach for individuals and teams, focusing on software development and software processes, helping them implementing sound and agile solutions. Pierluigi is based in Munich and operates through his company Connexxo (www.connexxo.com). Zuzana started with agile and Scrum back in 2005, where she was involved in implementing the agile methods at large US company operating in the medical area. From that time, she was responsible for implementation of agile and Scrum to teams in the Czech Republic operating in different areas of IT industry (i.e. air traffic control management systems, extensive healthcare applications, public safety systems and small and extremely fast internet projects). Currently she works as a consultant and coach for software organizations, support them in tailoring their agile adoption processes to company culture. She founded Czech agile community Agile Association - AgilniAsociace.cz, organizing conferences and events and sharing the agile experience all around. She is Managing Director of LOTOFIDEA. Petr Dousa is a UX team of one at Kerio Technologies in Pilsen. He started to establish UX design in the company two years ago, after being web application developer and project manager. Now he works on integrating UX into agile team. Recently he was jury member for UX in WebTop100, competition of top Czech websites. Before Kerio, Petr worked in Prvni Multimedialni, leading Czech web agency, with clients like Audi, Allianz and Nokia. He also co-founded techno.cz, which pioneered live photo and sound streaming from music parties already in 1997. Petr is interested in social media and blogs at userexperience.cz. Sjerk Van Riel, being involved in tailored software development projects for over 13 years, has always understood the crucial role that the customer - the business - plays in order to achieve successful high quality projects. Becoming more and more aware of the necessity of continuous business involvement, flexibility, iteration based management approaches and the importance of test driven designs, Sjerk has introduced agile principles and scrum methodologies into projects and organizations. Alan Bustamante currently leads the Agile Services practice at Seapine Software. Over the past 11 years, his experience has included working on both domestic and international projects using multiple delivery approaches. He has worked extensively in the Project Management, Requirements Management, and Test disciplines for multiple verticals, including Energy, Environmental Services, Insurance, IT, Manufacturing, Non-Profit, and Telecom. Since becoming involved with Agile projects in 2007, Alan has become convinced that Agile methods are, in most cases, the best way for organizations to get the most value from their software projects. Alan co- founded Agile Project Leadership Network (APLN) Houston in 2008, now a 600+ member organization, and his passion for giving back continues through his leadership role at Agile Cincinnati (www.agilecincinnati.org). Most recently Alan was on the question writing team for the upcoming PMI – Agile Certified Practitioner (PMI-ACP) exam. For 4 years now I’m working as an Agile Coach in an international healthcare IT company in germany. I have 15 years experience in professional IT and software development, therefrom 8 years in Project Management and Consulting. For four years now I’m working in an agile environment. I’m a certified ScrumMaster since 2009, currently preparing my certification as a Scrum Professional. I’m also a certified StrategicPlay Facilitator and working on becoming a professional Coach Certification. 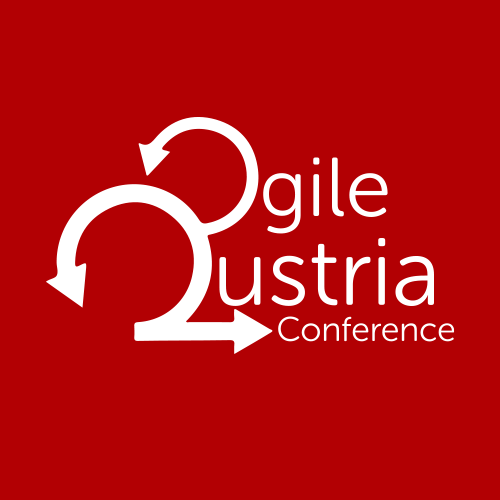 I’m one of the organizers of the Play4Agile, the unconference for games for agile Teams which took place last february in germany and the ALE2011 Conference which will take place in September in Berlin. Marcus Ahnve is a Senior Consultant at Valtech, a global IT consultancy. He is a agile coach and developer helping software development organizations. Marcus experience in agile software development dates back to 1996 and his first project which was done in Smalltalk. In 2001 he started doing XP development and has since then explored new ways of making development more effective, economical and fun. Marcus is one of the founders of the community conference on agile methods Agila Sverige held yearly in Stockholm. Gaetano Mazzanti spent 20+ years in the Software and Machinery Industry. Since 2007 he successfully introduced Agile methodologies (Scrum) in my company. He is now coaching and consulting in Italy and abroad helping organizations to embrace Agile methodologies. In various development and managerial roles he always tries to find the right way of business and IT cooperation. Focused on achieving targets, increasing team performance and ROI of mission critical projects. Currently he works as development manager in Direct Pojišťovna – Czech online insurance leader. Loves technology, online business and getting new ideas real. Tomas is product manager of Seznam e-mail, which is the biggest freemail in Czech republic. He is Certified Scrum Master and one of the Scrum evangelist in Seznam.cz highly interested in Scrum and Agile practices since the turn of the year 2008-2009. Due to his 8 years history in Seznam he knows the changing company`s culture, which is beneficial in the transformation to (and somewhere lets say just coming back and calling it) agile. Jindrich is working for Deutsche Telekom AG - Corporate IT in the area of Rating, Billing and Payment for 8 years in several positions from System analyst, Teamleader to Head of the Billing Mediation unit. He worked on several international implementation Telco IT projects for T-Mobile subsidiaries.